Beech House Veterinary Surgery will be holding a Cake Sale for Guide Dogs for the Blind, for all of the amazing work that they do. The event will run from Monday 15th April to Saturday 27th April and is open to all. 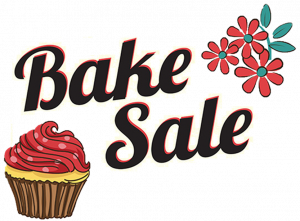 Our staff will bring in cakes and treats but please feel free to add your own to the sale. Guide Dogs exists to provide life-changing services to the 360,000 people who are registered blind or partially sighted, and the two million people in the UK living with sight loss. They provide a range of services with and beyond the dog to help thousands of people with different needs lead confident, independent and fulfilling lives. Guide Dogs for the Blind are most noted for their ability to train and provide dogs to those who need support in their everyday lives. There are now over 4,950 guide dog owners in the UK and each one of them has changed a life. A guide dog can offer significant benefits to people who are blind or partially sighted, including increased self-confidence, self-esteem, independence and mobility. They produce large print books, tailor-made to suit a child’s eye condition; including popular fact and fiction books as well as revision guides for school. They secure funding for assistive technology and sensory objects to help children learn to play and study. They host many events across the country where the whole family can join in with fun activities, and where they can easily access information and help. They can find a nursery, school or college that can give the specialist support that is needed for the child’s specific needs. Trained and experienced family support officers are able to provide practical advice and emotional support from the moment a child is diagnosed with visual impairment. Our Movement Matters training gives children the confidence to navigate their surroundings confidently, teaching them helpful life-long skills. A dog can make a remarkable difference in a child’s life by giving them a sense of responsibility and companionship. This free service helps promote freedom and independence for people with a visual impairment. They also offer support and training for friends and family. Technology can help to enhance the lives of those who are blind or partially sighted, from sound based technology to iPhone accessibility features. A range of training and consultancy services have been set up to enable business owners and staff members to help a member of their team who has suffered sight loss, or even how to help a customer with visual impairment. Guide Dogs can send volunteer speakers and their guide dogs to schools, workplaces and other events to help people to learn about what they do.